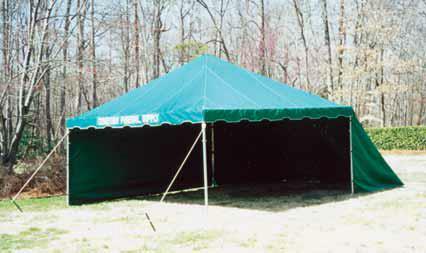 Porta-Tents measure 15’ x 15’ or 15′ x 20′ with fabric tops in many colors. 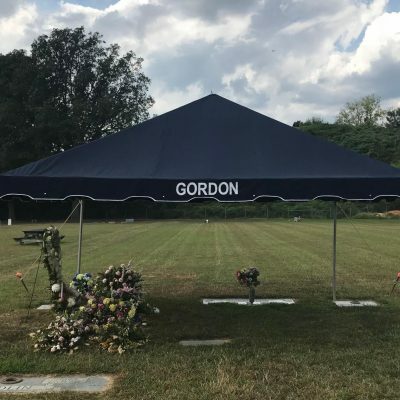 Cemetery Funeral Supply brings its customers an advantage in its Porta-tent and Porta-chapel. 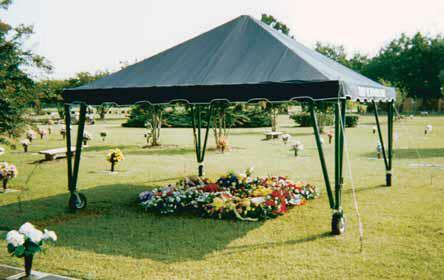 These models offer the same quality as all our tents. 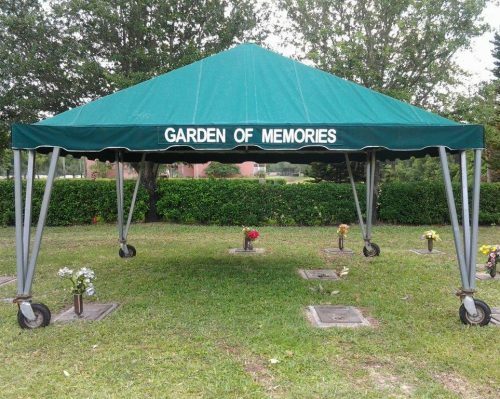 Their mobility helps you meet tight scheduled services with minimum equipment and set-up time. 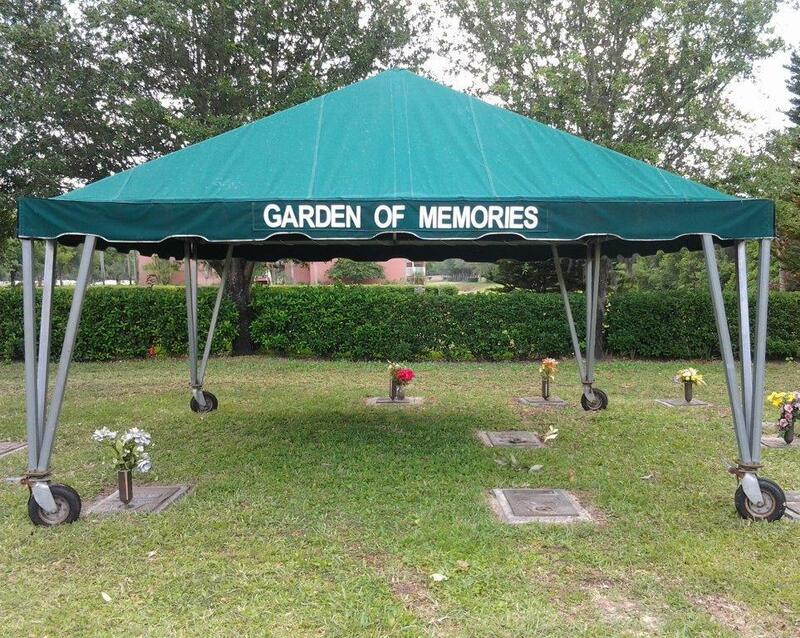 Our tents are made with top quality materials. 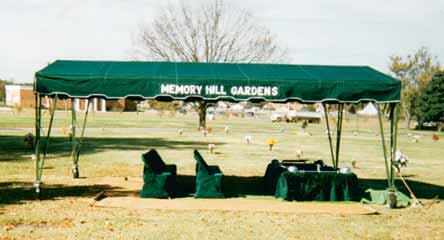 Tops are made of Sunbrella® and include name on one side and bag for top. The seams are all double and tripled lock stitched. The corners and stress points are all reinforced. 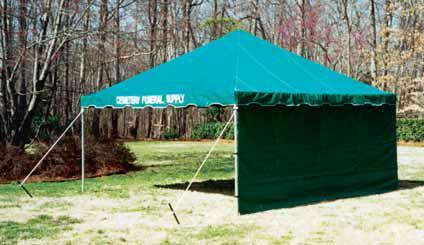 Porta-Tents measure 15’ x 15’ or 15′ x 20′ with fabric tops in many colors. 2” square galvanized or aluminum tubing is used (nothing to scratch off and rust – no need for powder coating). A manufactured (not stamped) caster the best in the industry.